Categories: Accessories, VARIOUS, SEALANTS, Sealings with kit, Other, Accessories. 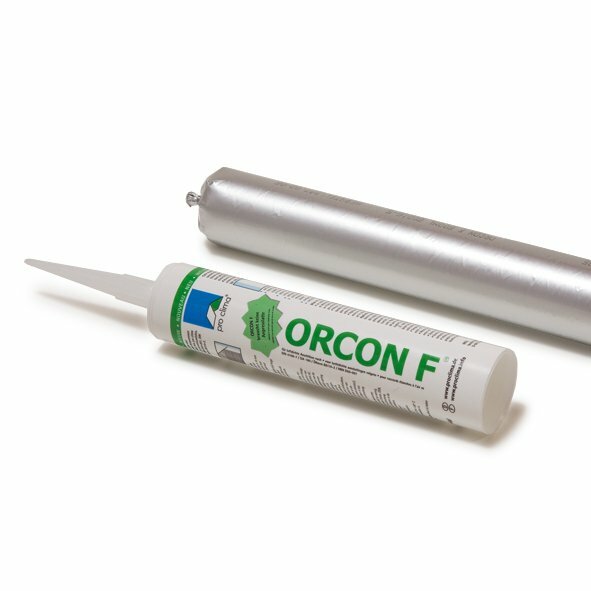 All-round connection glue for durable airtight connections of all kinds op vapour barriers and vapour screens according to the requirements of DIN 4108-7, SIA 180 and ÖNorm B8110-2. Airtight connections of all kinds of vapour barriers on adjacent minerals and rough construction components (f.ex. roughly sawm timber), foil, building paper, PE-, PA-, PP- and aluminium foils. Connection of shelterfoils on mineral and rough outdoors surfaces. All building-relevant, load-bearing, fatfree, silicone-free and dustfree surfaces are suitable. Application on slightly humid surfaces is possible. A primer is not necessary. 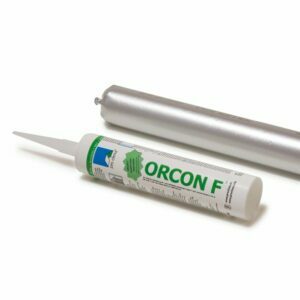 ORCON F achieves a high fixation: therefore no other fastening is needed. If necessary structure movements can be absorbed by setting elements.